I started writing Star Trek fan fiction in the early 1980s. They were so bad I never showed them to anyone, and they’re all gone now. Life got in the way, and I never tried my hand at writing again until I was 48 or 49 years old. Times were kind of tough, and we couldn’t afford much. I had been gifted one of the first iPads, and needed to find something cheap to entertain myself. I wrote my first novel using two thumbs and that iPad. The story still exists, but isn’t publishable. I kept writing and more stories were born. Now I love writing so much I can’t imagine not writing. I still use a newer iPad, but I got smart and bought a keyboard. I write stories that I think are fun. I don’t think I’m particularly unique, and assume others might like them too. My goal is to entertain. I’ll leave changing the world to others. I try to stay with escapist fiction. 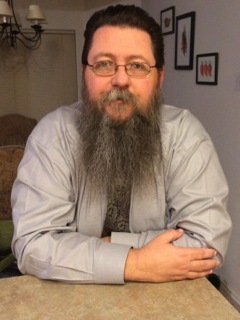 My stories are science fiction, paranormal, and fantasy. I’ve self published two of them using the Amazon KDP program. I have others I’m getting ready to post. A typical work day begins with… with an early alarm, feed the old dog, and make coffee. I love writing during those golden hours before the house begins to stir. 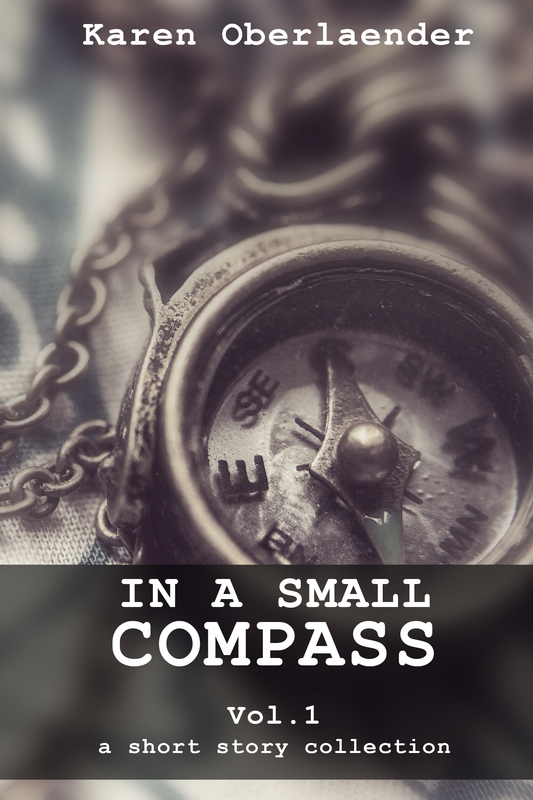 I lose track of time… when I pass the midpoint of one of my novels. There’s always a struggle to get through the middle and plant all the items that are going to payoff at the end. Once I’m at that point, I could write for ten hours straight. I have always… enjoyed the great outdoors. I love camping, fishing, foraging for wild foods and just getting away from town. I have never… refused to learn something when I can. I don’t like being taught, but I like learning. Home means to me… being with family, and around a campfire is the best of all. I am inspired by… people who step outside their comfort zone. It may not always be pretty, but the bravery of trying something new inspires me. I downloaded the song Relator, not because it was good but because Scarlet Johansson stepped outside of her comfort zone to make it. I would like to meet… Pete Rose, Cheri Priest, Theodore Roosevelt, and Stan Lee. My worst character trait… is never stopping to enjoy the little things. When I self published my first novel, I started the same day hunting for the Panama cover artist. My best character trait… is my willingness to help others when I can. If I can share something I’ve learned, I love that. The best advice I was given… is that we’re all capable of more than we think we are. 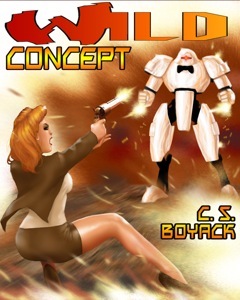 Wild Concept is fun bit of science fiction. Lisa Burton is a robot who was built in the concept lab. She is supposed to interact with people and complete a job. There is a control experiment who remains at the laboratory to gauge just how far they will diverge. They are both scheduled to be torn down and studied at the end of the experiment. Lisa learns faster than anyone expected, and decides she isn’t going to be broken down at the end of her experiment. She takes a unique approach to ensure her survival. 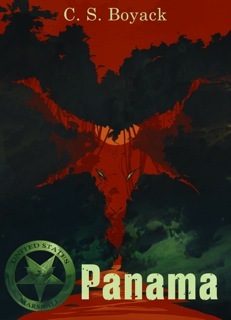 Panama is a paranormal piece set during construction of the Panama Canal. Ethan and Coop are asked to look into the matter, but run into more than they expected. There is the bid for Panamanian independence, a threatening Columbian Army, a Carlist zealot with dreams of reestablishing the Spanish colonies in the New World, oh and a demon. Expatriates from all over the globe came to Panama in pursuit of big wages. The magic in this story reflects a world view as well. I think it’s a blast, and would appreciate it if you checked it out. I really appreciate Karen inviting me to participate in this post. It made me think, and that’s a good thing too. This entry was posted in 10 Statements and tagged 10 statements, author, C. S. Boyack, Craig Boyack, Panama, people, Wild Concept, writer. Bookmark the permalink. I have to complement Mr Boyack on one of the best ZZ Top beards I’ve seen in a long time! 😉 Great article too. ZZ Top – of course! I wondered why Craig seemed so familiar! What a great set of statements 😀 It is nice to get a glimpse into a writer’s life! Oh! What a privilege to be asked 😀 I think I will be smiling all day now! Do it Harliqueen. Karen’s nice and she doesn’t bite. I can’t wait to read it. What a fun read! IMHO, sounds like an avid pulp fiction writer and loves writing and has fun doing it. In fact, that’s the overall gist I get from the whole write-up, FUN! To me, that is the single most important thing a writer should always remember. Thanks Jack. I have fun doing it, and I hope others can have fun reading it. Well, I have to correct Craig here and say Relator by Pete Yorn and Scarlett Johansson IS pretty good!! Hey Tom, read it again. I never said it was bad. I said my reason for downloading it was because she stepped outside her comfort zone. I remember them talking about it somewhere, and Yorn had to talk her into it. Maybe I should add her to the list of people I would like to meet too. Thanks for checking my 10 Statements out. Wow, that Boyack sounds like a fascinating guy! Thanks for having me Karen. My pleasure, Craig. Thank you for taking part in my ’10 statements’ series!